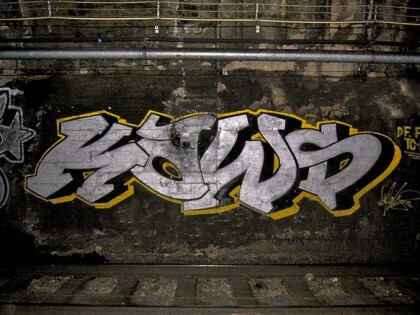 Born in 1974 in Jersey City. 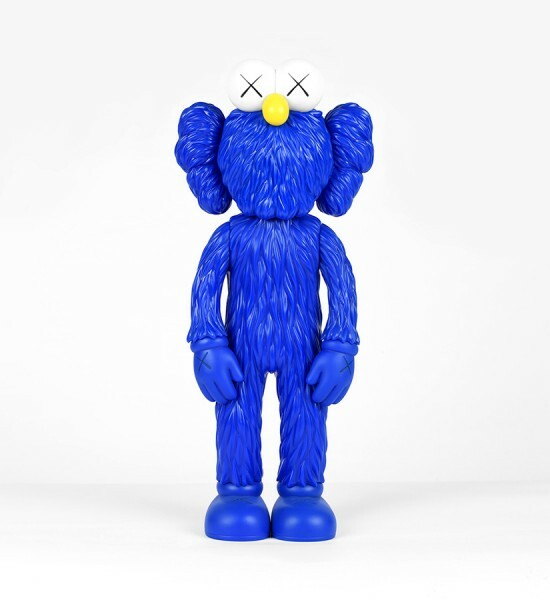 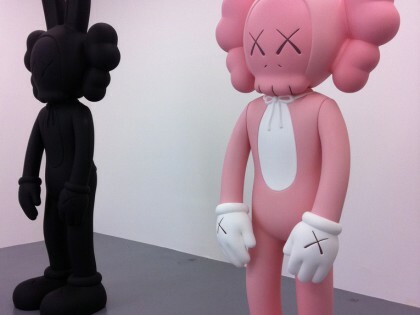 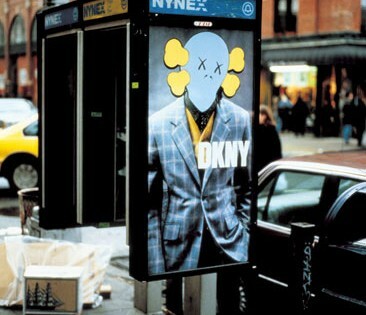 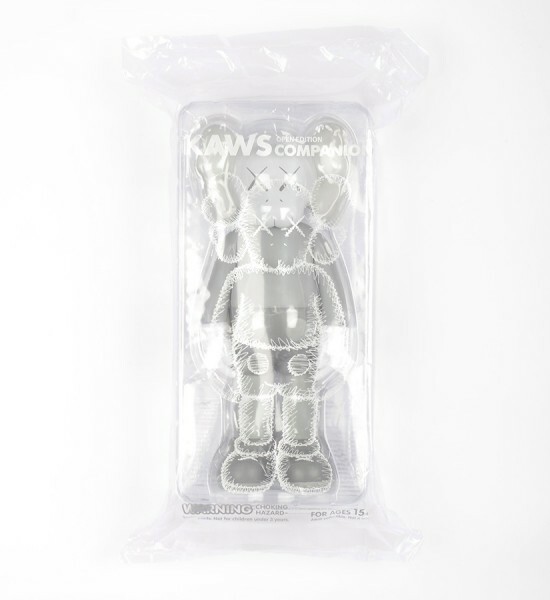 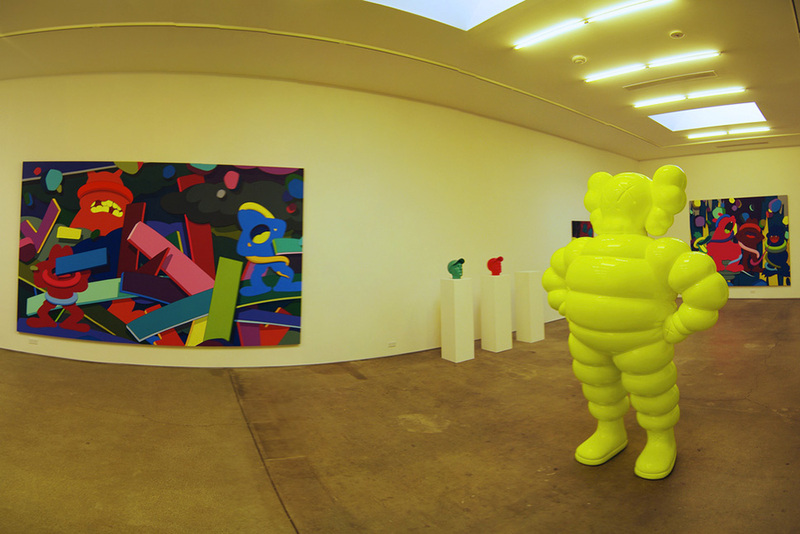 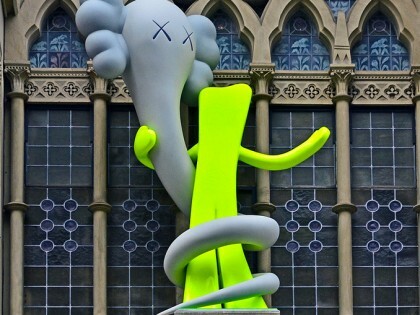 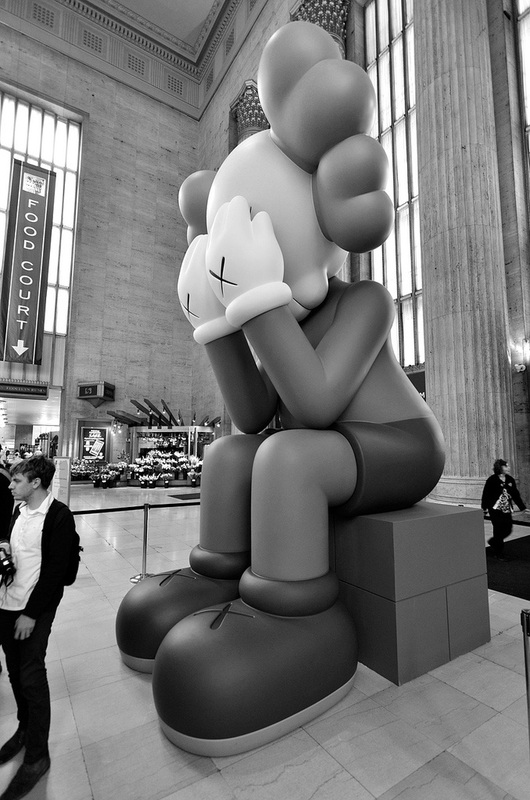 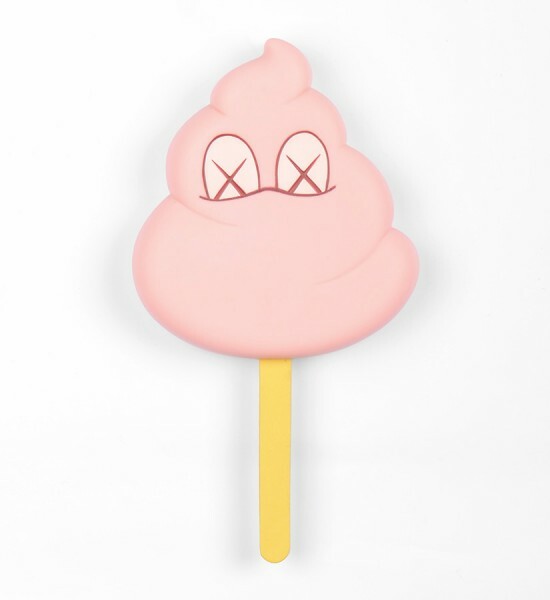 Brian Donnelly a.k.a Kaws was born in 1974 in Jersey City (US). 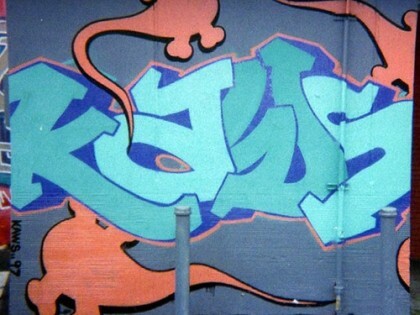 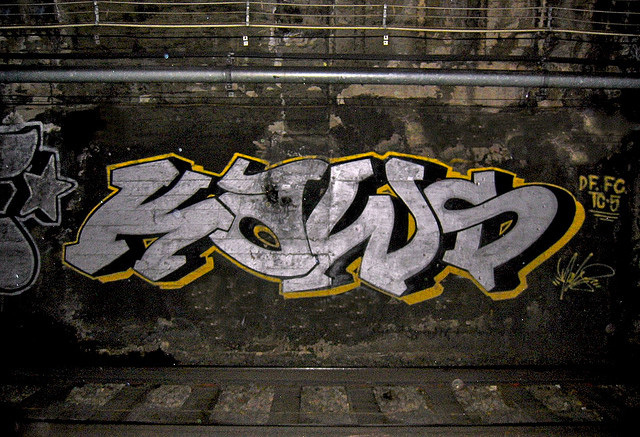 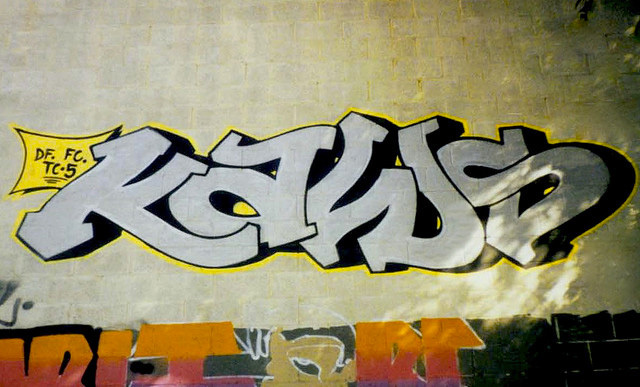 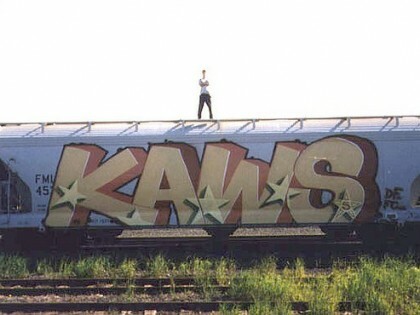 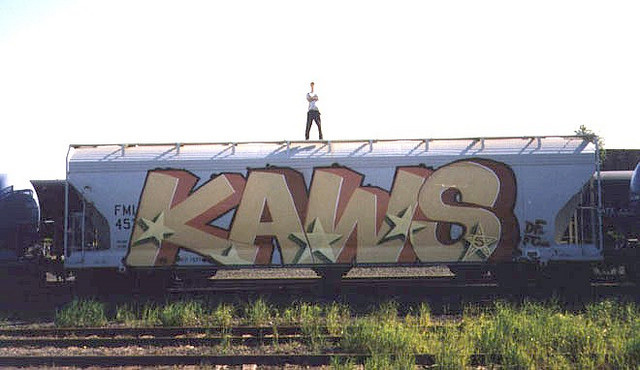 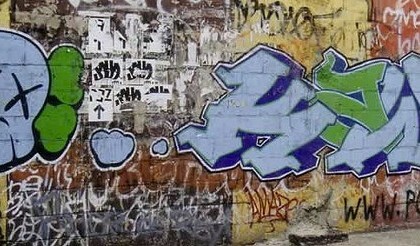 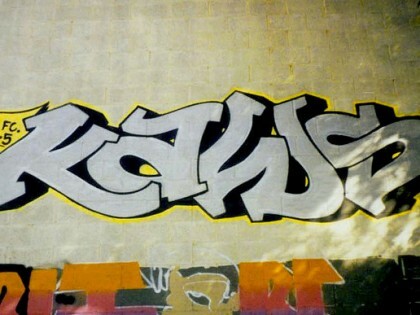 He began painting on walls and trains in the early 1990s in New York. 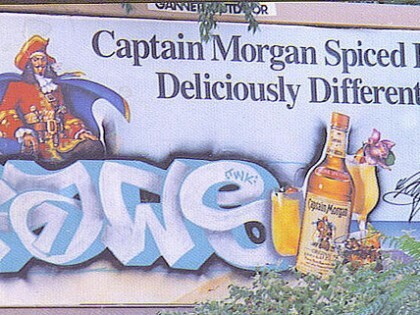 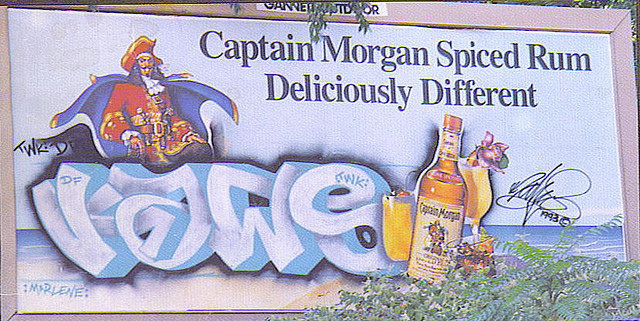 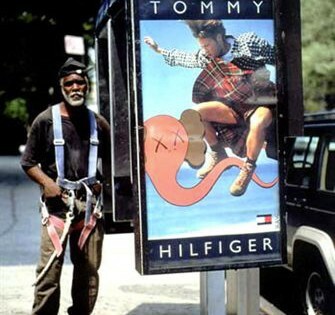 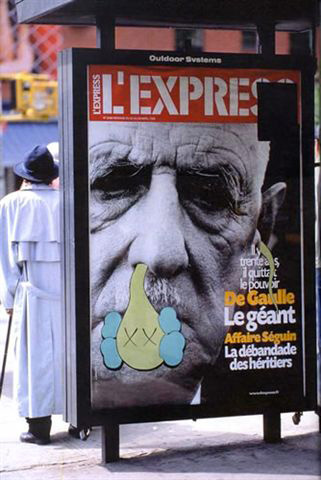 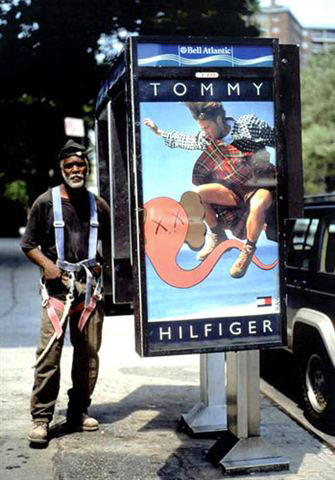 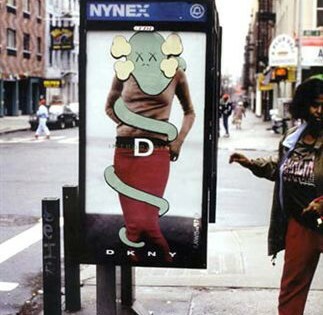 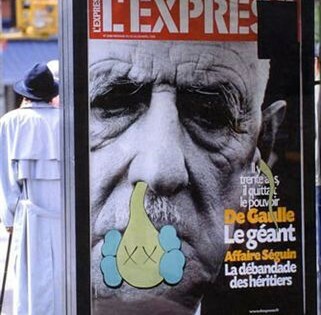 His made his work different from others by diverting advertising posters on bus stops and telephone booths, and adding small characters : “skully” the pirate skull with crossbones shortened to form ears, or “bendy” the extended head of a snake body wrapped around the person featured in the advertising poster. 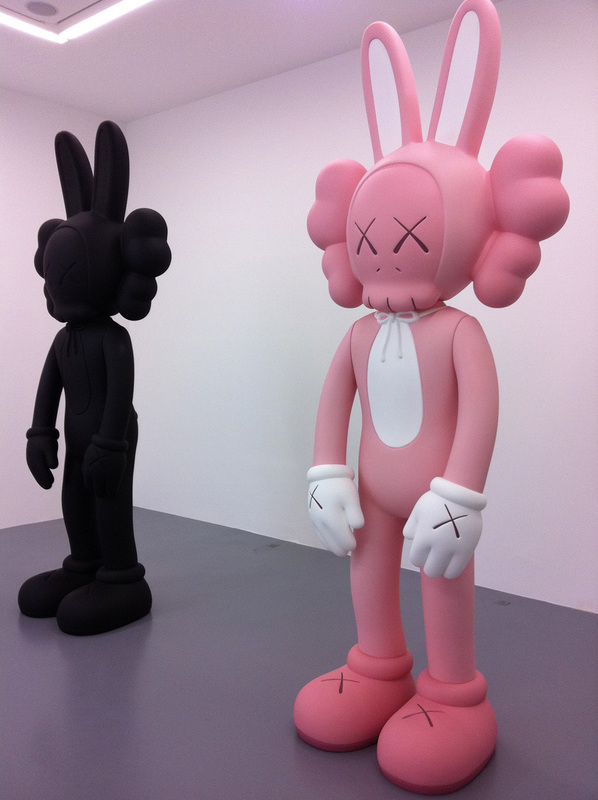 In 1996, he obtained a degree in Fine Arts from the New York School of Visual Arts. 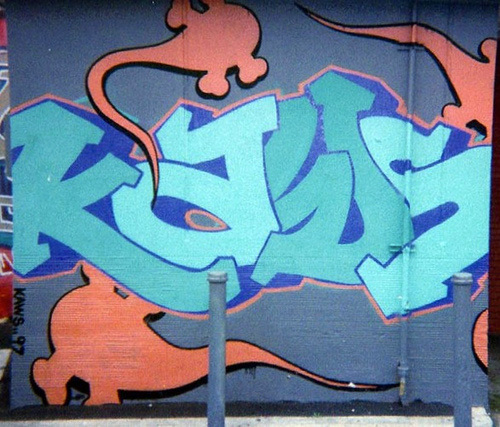 He then began working as a freelance artist for Disney, creating animated backgrounds. 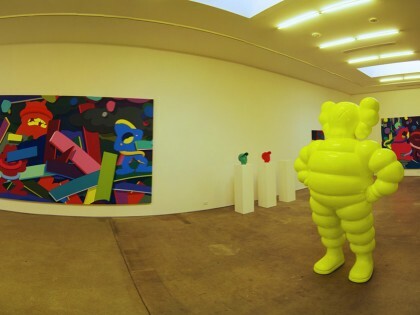 His accomplishments as an artist met a real success, and he started travelling to Paris, London, Germany, Japan. 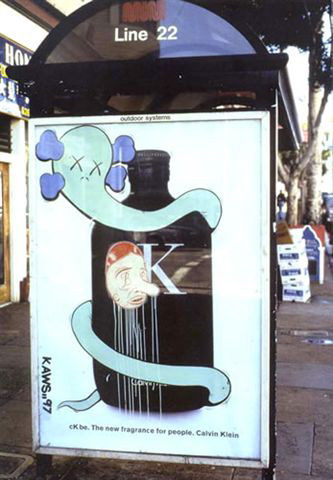 In 1998, he was the winner of the Pernod Liquid Art Award. 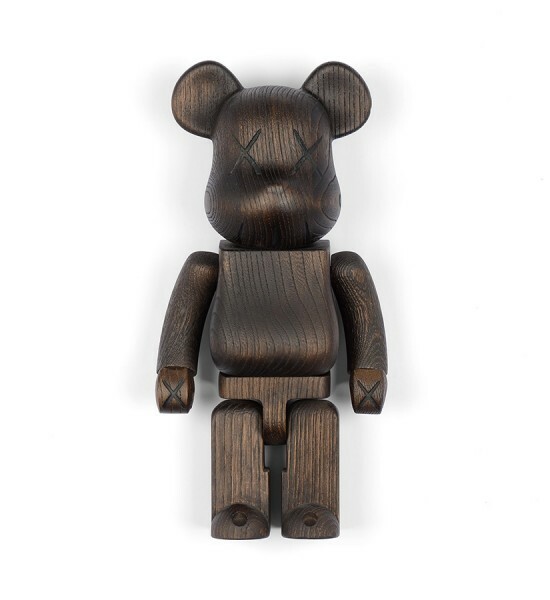 In 1999, he made his first Mickey Mouse-inspired art toy in Tokyo, and it sold very well. 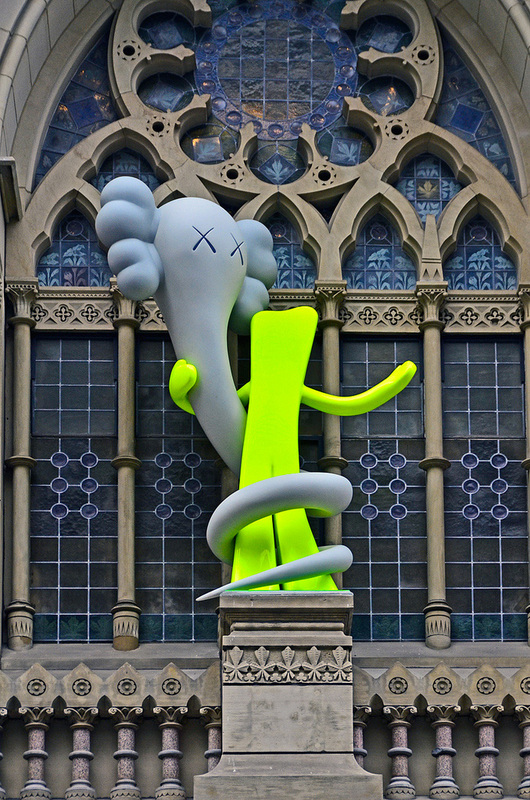 He then started again with Chum, a caricature of Bibendum. 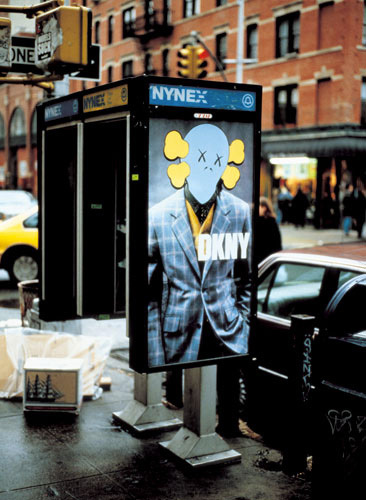 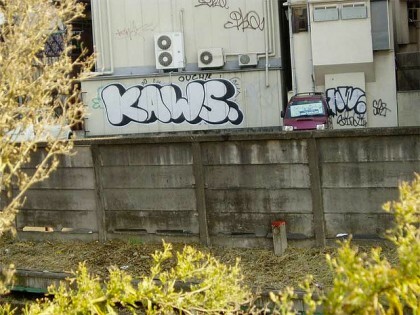 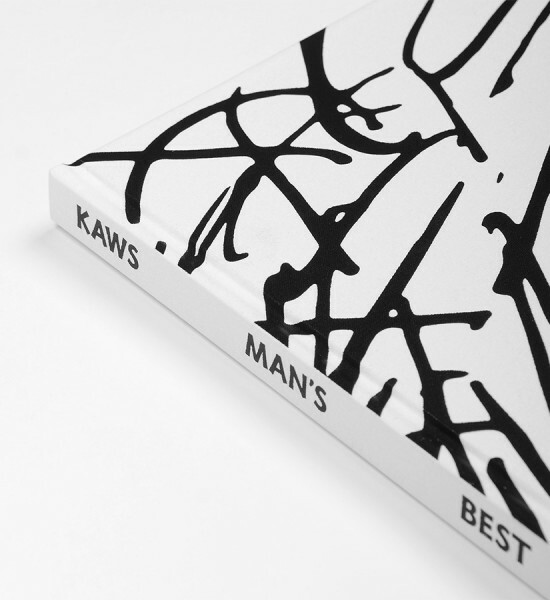 Later, he met and worked with Nigo, who founded the A Bathing Ape brand, who helped him open its first store in Tokyo, Original Fake, where he sold tee shirts, shoes, and other derivatives related to his universe. 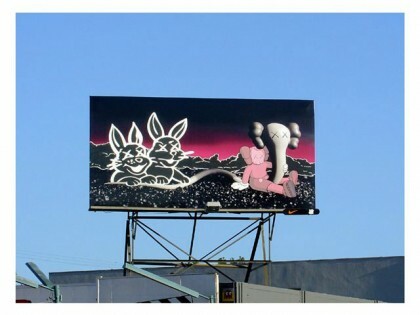 Meanwhile, he made ​​a series of paintings inspired by cartoons, such as The Simpsons, Mickey, Astro Boy, Hello Kitty, and SpongeBob. 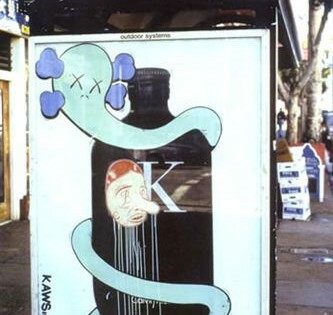 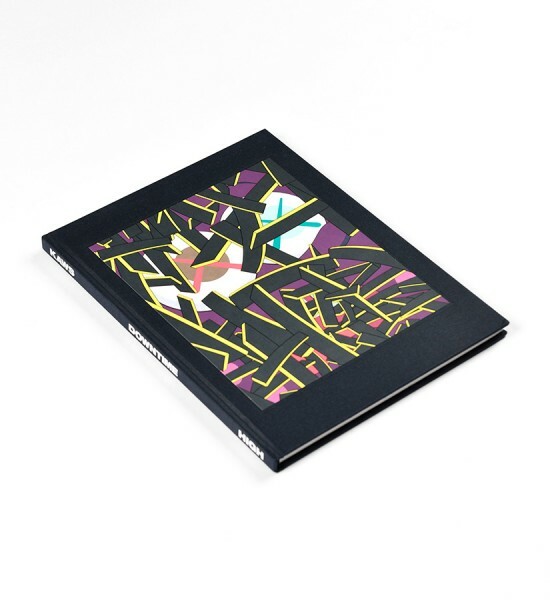 Since 2000, he has participated in numerous exhibitions in the world and has worked with brands such as Marc Jacobs, Comme des Garçons, Nike, Vans, Kiehl’s … etc.